The Reptile Room at Lilydale High School has the largest collection of animals in a school in Australia. The Reptile Room is a modified portable with purpose built enclosures which has now been extended to include outdoor areas for the animals venture outside during school hours when the whether is suitable. 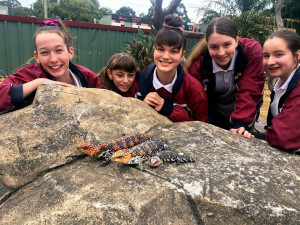 It began in 2002 with our oldest resident, Charlie the Darwin carpet python and few blue tongues in simple enclosures at the back of a science classroom but with increasing enthusiasm from the students it began increasing in size from 2005 onwards to become what it is today. 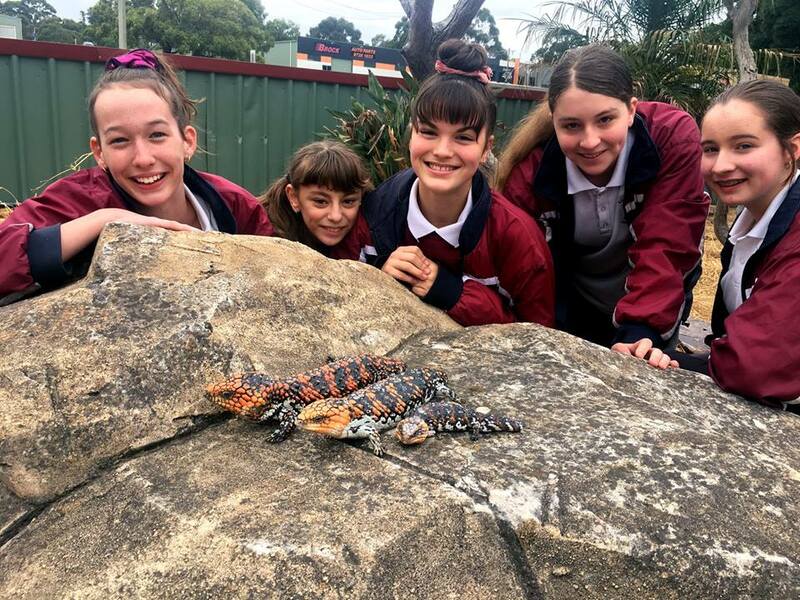 The aim of the Reptile Room is to give the students of Lilydale High School the opportunity to study and interact with animals that most students wouldn’t otherwise get an opportunity to learn about. Over the past couple of years the popularity of the Reptile Room has increased and it has been recognized in various forms of media from the local papers to television news reports. We have now been given permission to take the animals off campus to share our knowledge and the experience of interacting with these animals with other schools and community groups. We currently run a zoo keeper program at the school which encourages students to learn animal husbandry techniques to a high standard. Students who show dedication to the program and exhibit excellent animal husbandry skills become zoo keepers giving them special privileges and opportunities to share their knowledge with other students and community groups. The program operates as a mentor program so that the more experienced zoo keepers train the new comers and over time the most experienced keepers attain the level of Head Keeper giving them more responsibility and greater opportunities. Through this program several students have been able to get work in related fields and be accepted into zoo keeper programs in zoos and private wildlife parks for extra experience. Trainee Zoo keepers are taught how to handle the animals and recognize signs of distress and health issues that may occur. They are taught how to prepare the food for various animals and are given the opportunity to feed a variety of reptiles and amphibians. They are taught about the environmental requirements of the animals and also the legal requirements of keeping these animals. Many of the zoo keepers now keep their own animals most of which came from the reptile room as offspring of the animals that they look after. In 2010 we were the winners of one of the biggest reptile competitions in Australia, which awarded us Australia’s first Green Tree Python twins and enclosures to display them in. The Green Tree Python twins were hatched by the renowned Green Tree Python Breeder Michael Cermak. The students have been able to observe the Green Tree Pythons change from their juvenile bright yellow colouring to the more mature vibrant green that they are well known for. Both of the twins are now frequently handled by the students and are both very well natured and are growing quickly. For more information on the Reptile Room please feel free to contact Marcus Whitby via the school’s email address or phone number.